Come hang and celebrate the warm weather!! 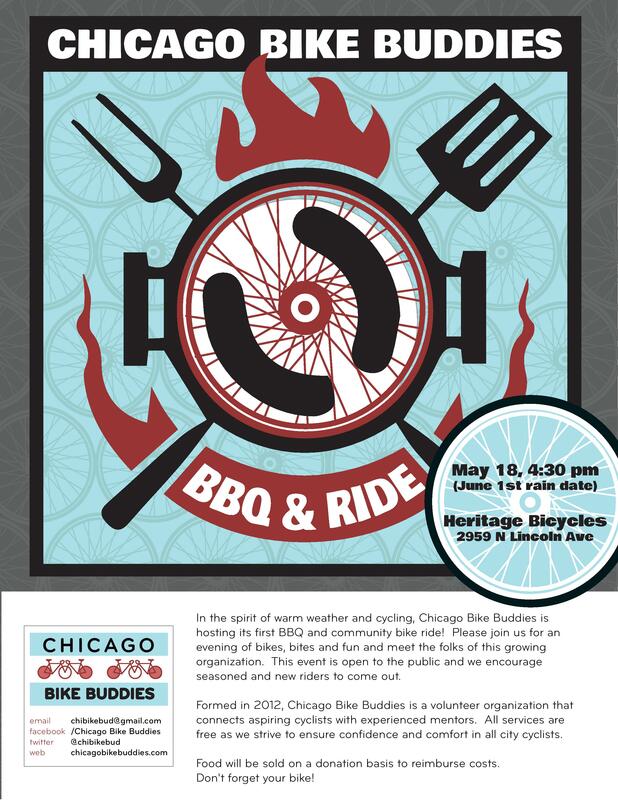 Chicago Bike Buddies is hosting a BBQ and Ride at 4:30pm on Sunday, May 18 at Heritage Bicycles. All are invited because we want to meet you all, vegetarian and vegan options available.